Camping l’Europe de Murol is located in the heart of the Regional Nature Park of the Auvergne’s Volcanoes, the Sancy Massif and near the Chaîne des Puys, recently classified as a UNESCO World Heritage Site. Come and spend your holidays at the camping Auvergne, in an exceptional natural environment, bathed in fresh air, ideal for relaxation and rejuvenation! On the program, friendliness, sweetness of life, cultural and gourmet discoveries, walks off the beaten track in the middle of breathtaking landscapes, authentic encounters and unforgettable memories for the whole family! 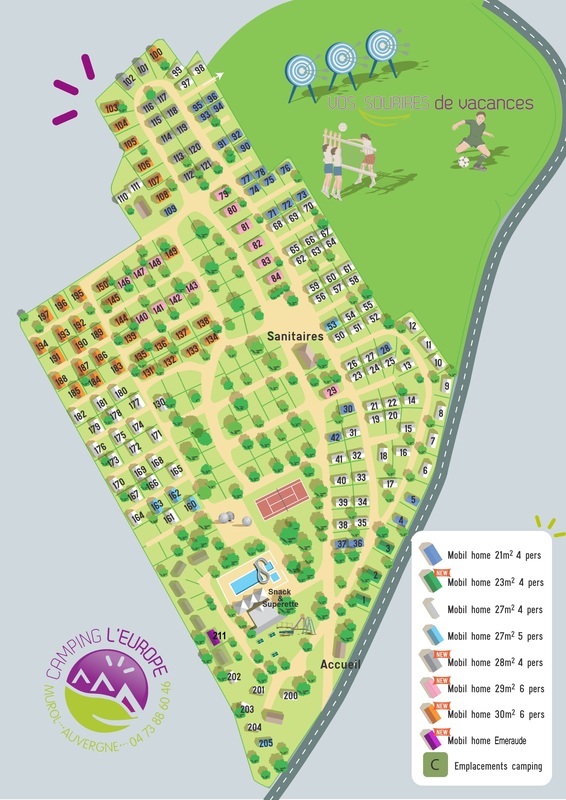 Located south of Clermont-Ferrand, and close to the magnificent lac Chambon, camping Auvergne welcomes you from April 26 to September 1, in a friendly and family atmosphere. An ideal environment to rest, have fun, get away from it all! Choosing Camping Auvergne in Murol means choosing the ideal place for a successful family holiday. Young and adults alike can enjoy the heated swimming pool with waterslide and paddling pool, open from April 26th! During the summer holidays, the children’s club welcomes your children from 4 to 12 years old free, of charge with entertainment and games for their greatest pleasure. The older ones are not to be outdone with the sporting activities offered at and around Camping Puy-de-Dôme. Reach the village of Murol or Lac Chambon in just a few minutes on foot and enjoy the restaurants, shops and strolls not to be missed. Whether you are a couple, a family, friends or a group of friends, Camping L’Europe à Murol offers you a personalized service adapted to your expectations. A wide choice of rentals and pitches, swimming pool and sports fields, restaurants, summer activities, personalised advice in booking 7 days a week, availability during your stay, advice for your visits and walks: we put all our energy at your disposal for a successful holiday! At the camping Auvergne in the Puy de Dome, you will be ideally located to discover the most beautiful tourist sites of the region. Auvergne is full of hidden treasures, and you will not miss visiting the most beautiful villages in the area such as Saint-Nectaire or Le Mont-Dore, not to mention the Regional Nature Park of the Volcanoes of Auvergne or the Puy de Sancy. 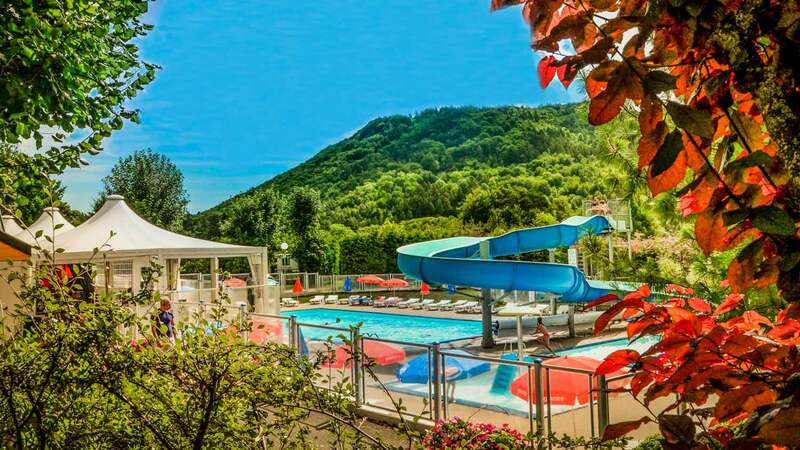 As you will have understood, our Auvergne campsite will be for you and your family the opportunity to spend some dream holidays in the Puy-de-Dôme, so enjoy it!